Are you having problems with your garage door at either your home or business? Has it stopped opening and closing properly? Is it making louder noises than usual? Does your remote work all the time, or does it only work sporadically? If you’re having problems, Local Garage Door Repair Fort Lauderdale provides fast, reliable and professional garage door installation and repair services in the greater Fort Lauderdale area. No problem is too big or too small. We do everything! From installing new garage door systems to fixing and replacing parts and more, our technicians are thoroughly trained in the latest techniques in order to provide you with a thorough, comprehensive assessment of your current garage door system and will let you know about of any other issues that you might not be aware of! Our services are extremely affordable, and we also offer web-only specials! All of our work is backed up by a 100% money back guarantee. We’re also licensed, insured and bonded, and we’re dedicated to making sure that your new or repaired garage door works to your complete satisfaction. Avoid unpleasant and potentially dangerous situations by keeping your garage door in pristine working order! Don’t wait until small problems become wither worse! Contact us at (954) 828-0176 today! Garage doors are extremely reliable, but any mechanical system can and will degrade over time. It’s inevitable, and it’s better to address the issue sooner rather than later. Some people prefer to perform most garage door repairs themselves, but there will be more complex issues that will no doubt require the services of a professional technician. Local Garage Door Repair Fort Lauderdale FL employs the most talented, professional technicians with the tools to fix your problem as quickly as possible. 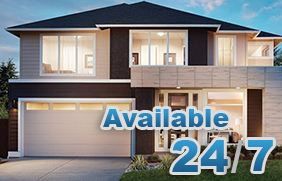 Don’t hesitate to call us with all of your garage door repair services! Schedule an Ace Garage Repair today! Contact us right now at (954) 828-0176 right now! If your current door has been damaged beyond repair, or you’re ready upgrade the look of your home or business, then it’s time into looking into getting a new garage door from Local Garage Door Repair Fort Lauderdale FL. We can help you choose a new garage door from our wide variety of quality affordable garage doors that will best suit and compliment your home or business location. Once you select the door that’s right for you, we will provide excellent, quality installation of the door and any of its related components, such as springs, rollers, cables and openers. 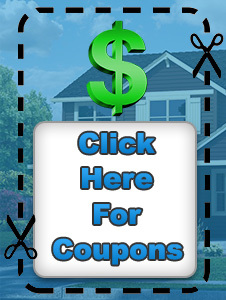 You can count on Local Garage Door Repair to install your door to your specifications. All of our doors are covered by their manufacturer’s warranty, and our labor is backed up by our 100% Money Back Guarantee. Let’s get started! Call us at (954) 828-0176 today!